A client comes to you asking for help in building their brand. That’s great. More so, they already set up a Facebook page for their social media marketing efforts. That’s equally awesome. But then, it doesn’t generate likes and has low engagement. Now that’s a problem. As of the second quarter of 2015, there are 1.49 billion active Facebook users and millions of advertisers. Sure, it’s a great avenue to make some noise about your brand, but how do you stand out if the platform’s too crowded? Here are some quick tips on how you can shift a Facebook page from being blah to a marketing campaign that rocks. You've probably heard this a dozen times when it comes to social media marketing, but it’s true and this needs to be stressed all the time. Brands who stick to their niche are more likely to succeed in creating brand awareness. Let’s look at The Reading Room as an example. The Reading Room is basically a platform for book discovery through recommendations and interactions among its users. 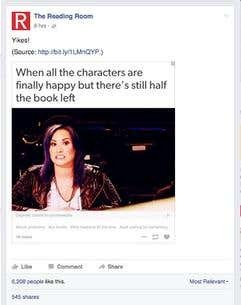 It has a successful Facebook page because they stick to their niche—which is reading books. 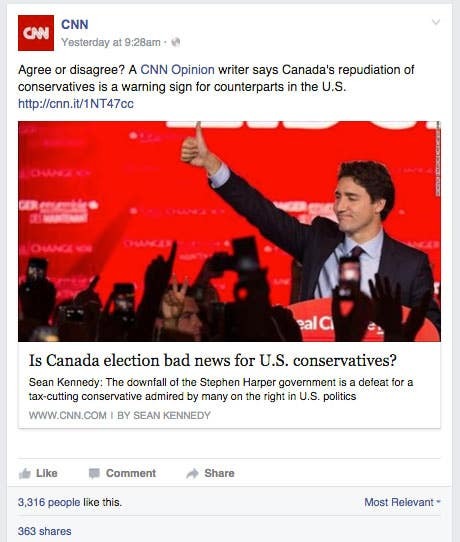 No, they don’t post book reviews all the time nor do they just use their Facebook page to advertise their platform. They post other content too, such as funny snippets about reading and other shareable content. Jaan and Arya make up a musical duo. They’re popular and already have a following of their own. However, they generate more awareness about who they are through sharing viral content—even if it has nothing to do with their music. Take this video, for instance. It’s about loyalty, as told by a stray dog and a man who gave him food one morning. Where’s the musical relevance in that? Zilch. But it’s generating a lot of likes, comments, and shares because it touched a lot of people. Now, I know I told you that you should stick to your niche. Why would you post something about cars when your page is about beauty supplies, right? However, sharing viral content here and there won't hurt, especially if you know that it’s going to appeal to a universal audience, just like this example. 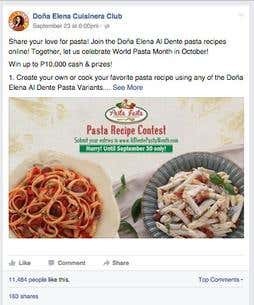 Engage your audience through posts that involve their participation. 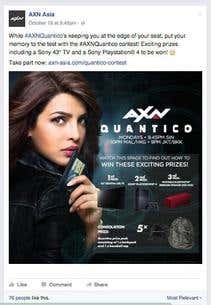 There’s always a thrill in joining contests, just like these examples from AXN and Doña Elena. 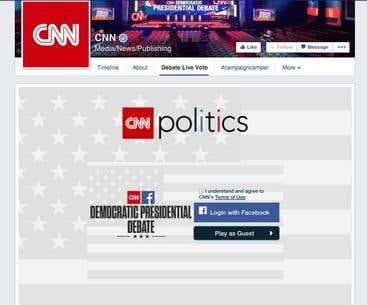 It also works when you provide people an avenue to speak their minds about important issues, just like what CNN did in these examples. These things spur interest, and it’s a good way to relate to your audience. When a brand reaches out to people, it becomes easier to remember. People love stories, photos, and videos that inspire them. The pages of Humans of New York and Dove are very popular, thanks to content that appeals to people's emotions. 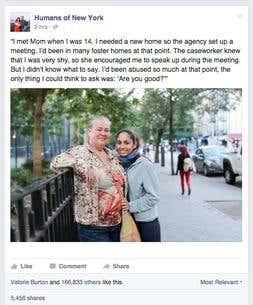 Humans of New York is like a huge catalog that features individuals living in New York and their unique stories. It’s successful because it digs deep into the core of what makes us all human. That’s why people from all over the globe have subscribed to this page. 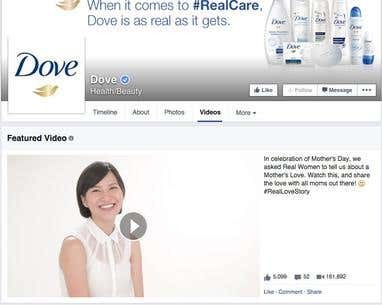 Dove is a beauty brand, but its Facebook page is not just filled with details about their products. What makes people follow them are the inspirational videos they post, aimed at empowering women and families. Check out this campaign they did for Mother’s Day. 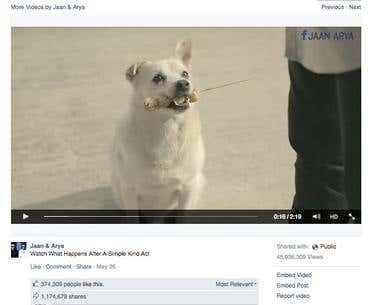 When you’re creating content for Facebook marketing, it’s advisable to keep it on-point with a dash of wit. Tasty and Grammarly have been nailing this strategy for quite a while now. Tasty is known for featuring yummy recipes in videos that run for one minute or less. Their videos are so enticing that you end up drooling and craving after each clip. And yes, it encourages people to cook because the videos demonstrate that whipping up yummy dishes can be easy. Grammarly does a successful job of correcting common grammar mistakes through funny images that people can easily relate to. 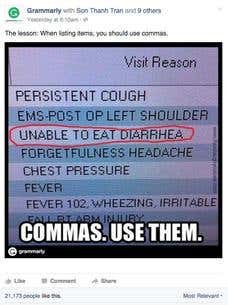 They explained the importance of commas very effectively in this photo. 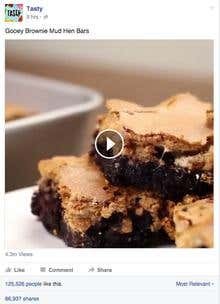 When all else fails, you can just pay Facebook to advertise your brand to boost engagement, but it shouldn’t end at that. Your page still needs to be updated and filled with a variety of content to keep your audience hooked. These simple tips will help you with that and compel more people to hit the Like button.